Jio Phone specs, features, pre booking: Mukesh Ambani has unveiled the JioPhone at the Reliance Industries Annual General Meeting (AGM) 2017. 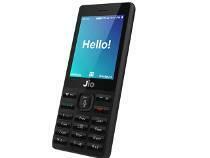 The JioPhone is a 4G VoLTE enabled feature phone. The Reliance Industries Limited chairman called the new JioPhone ‘India ka smartphone’, and it comes loaded with features like expandable SD card slot, 4-way navigation, and more. Ambani, in his address, was expected to bring out a new 4G VoLTE enabled feature phone. The feature phone has been a point of much anticipation after leaks and rumours started doing the rounds. The JioPhone comes with an Alphanumeric keypad and features a headphone jack, microphone, speaker, and supports FM Radio as well. The 4G VoLTE-enabled JioPhone supports all languages, and users can speak to the device via voice commands. The company is giving people an option to browse the Internet on the new JioPhone as well, and it comes pre-loaded with Jio apps. The JioPhone’s effective price is Rs 0. This means, you can buy the phone at Rs 1500, which will be refunded after 3 years, Ambani said. The phone will be sold as first come-first serve basis from September 2017. From features, availability to price and data Plans, here is a list of 15 things you should know about JioPhone. 1. Reliance Industries Limited chairman Mukesh Ambani on Friday announced the JioPhone, a 4G VoLTE feature phone which he called ‘India ka Smartphone’. 2. The JioPhone’s effective price is Rs 0. This means, you can buy the phone at Rs 1500, which will be refunded after 3 years. 3. The phone is a feature phone, but with a larger screen, access to apps and of course 4G data and 4G VoLTE calls and will effectively cost the customer Rs 0 for the device. 4. JioPhone users will have to pay just Rs 153 a month, including the cost of the phone. There will be a weekly plan of Rs 54 and a two-day plan of Rs 24 with all the same features. 5. The highlight of this phone is the 4G VoLTE, it has a voice command interface, and comes pre-loaded with Jio’s apps loaded on it. 6. JioPhone has 2.4-inch display, and can play the JioCinema app as well. So users can watch movies on this feature/smartphone smash. 7. It has an SOS feature as well, which can be activated by pressing 5. There is support for NFC that enables quick payments, and the ability to cast content. 8. The phone will be available for beta testing from August 15 and for prebooking from August 24. 9. The phones will be available for sale at a first come, first serve basis from the last quarter of 2017. The target is to make 5 million phones available every week. 10. The JioPhone will always have free voice calls. From August 15, the JioPhone will come with free unlimited data. 11. The phone has been created by Indian engineers for an Indian audience. 12. The phone will offer an innovative cable link to television to help users view content on a big screen at home. Users will need to buy the Jio Dhan Dhana Dhan package of Rs 309 to get the extra data needed for this. 13. The phone also responds to voice commands, which is unprecedented for a feature phone anywhere in the world. 14. Jio will be the greatest accelerator of the Bharat-India connectivity, said Mukesh Ambani. 15. Mukesh Ambani declared 15th August 2017, as ‘DIGITAL FREEDOM’ for all feature phone users with JioPhone.